Our approach to program creation is very personalized. It usually starts by identifying the group’s academic and extracurricular objectives so that GROUND can match the team with a community whose needs are aligned. Students and educators will typically select the country they wish to visit or GROUND can suggest a destination with a particular project that best fits the team’s objectives. Our aim is to build well-balanced programs that include the elements students have identified as essential including educational workshops, adventurous activities and hands-on community work. When all these variables are combined together, we can be sure the team is in the right place. Once the “core” community element is decided, we can add the secondary components such as meals, suitable certified accommodations, transport links, outdoor adventure elements, educationally themed excursions, and more. OUR MEASURE OF SUCCESS IS TO CREATE AN ITINERARY THAT MATCHES THE NEEDS OF THE STUDENTS AND EDUCATORS WITH THE NEEDS OF OUR PARTNER COMMUNITIES. As an educator accompanying students on one of our programs, you’ll see that playing the role of a ‘tour leader’ dealing with cross-cultural immersion involves way more than classroom teaching. You will be challenged with issues relating to the health and safety of the students, logistics and planning and daily briefings and debriefings. This can be a very challenging, but ultimately it is very rewarding to help guide the students through their own set of challenges that go well beyond the demands of a classroom. The GROUND team has extensive experience of developing programs with schools and is on hand to support you in this journey. WHY TAKE STUDENTS OUT OF THE CLASSROOM? Our programs engage students in critical thinking, problem solving and decision making in contexts difficult to simulate in school. Travelling in the developing world is challenging. Our students are eased out of their comfort zones and encouraged to think for themselves. They adapt, learn how to collaborate and above all, how to bounce back from adversity. Exposing students to global issues helps their development into becoming socially-aware citizens. Through rewarding community service projects, local immersion and outdoor adventure, we expand their perspective on other cultures and the environment, bringing to light their own positive impact on this earth. The pure essence of travelling overseas is experiencing the unique beauty and character of each destination. Our teams travel backpacker style to explore the sights, soak up the atmosphere and above all, have fun! their own personal inventory of skills, talents and personal interests. The key outcome of this stage is the proposal and selection of a service learning experience based on group size, timelines, student interests, and budget parameters. Once the students and educators identify specific areas of interest, we provide them with information about the community they will visit so as to conduct background research about the local socioeconomic, cultural and historical dimensions of the area. This information will help students develop their service learning proposals. 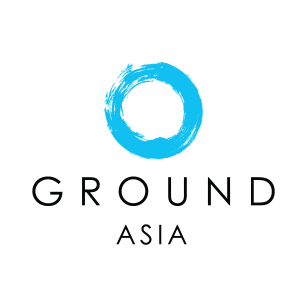 Drawing on our many years of experience throughout Asia, we provide students and educators with a safe and highly experiential service learning program in and around the communities selected. Based on the needs of each student and group, these programs typically involve community action projects, historical and cultural tours, and fun team building exercises. Throughout the service learning experience and prior to departure, we support facilitated reflection sessions that provide students an opportunity to reflect upon their activities and their own personal growth, impact and development. For some students, this could also mean a second visit to the community towards the end of the 18-month service learning process in order to assess and reflect upon the impact of their activities on the communities. GROUND will survey the beneficiaries of the students’ community action projects— village families, for example— to obtain their feedback on the impact that the student projects had on their own livelihood. We then translate and provide this to students in order to help them understand and reflect on the impact that the projects actually had on the communities.